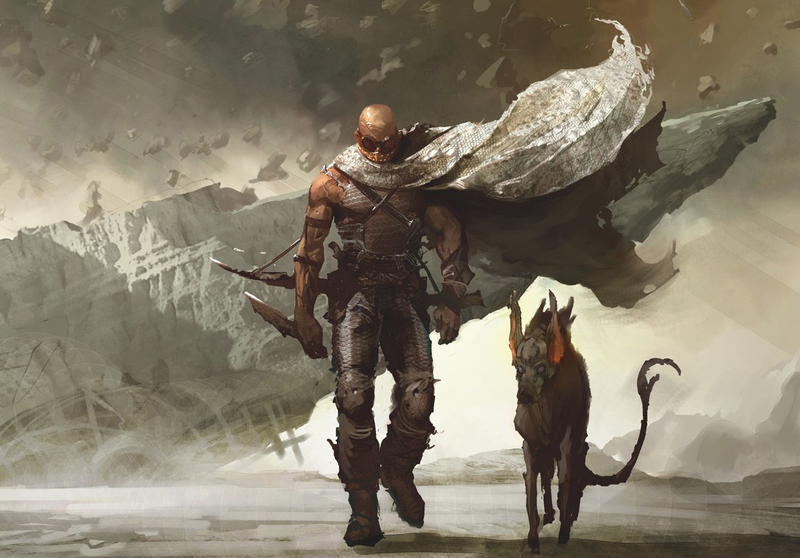 With writer-director David Twohy and actor Vin Diesel continuing their social media effort to rally support for a third film featuring the anti-hero Riddick, we take a look at some of the concept art released for the planned film thus far. Richard B. Riddick, or better-known as simply Riddick, has been one of the more unusual sci-fi protagonist for "The Chronicles of Riddick", an unlikely sci-fi franchise consisting of numerous films, animations, and video games. An anti-hero that was first introduced in 2000's Pitch Black, a low-budget sci-fi film that has by now widely-regarded as a cult film, the character, famously personified by Diesel's unique charisma, was well-received enough in the film that he became the main focus of "The Chronicles of Riddick", an unfortunately better budgeted follow-up in 2004. Met with mostly negative response from the critics and a disappointing box office, the second film somehow ruined the creators (both Diesel and writer-director David Twohy)'s plan for a grand sci-fi trilogy based on the character. Following that, Diesel indicated in his Facebook page that if the film were to proceed as planned as a R-rated release, he would have to take a massive pay cut. Till now, Diesel continues to release concept art from the film sporadically, as the project proceeded with its extensive pre-production phase due to the long-standing fight for an R-rating. With a fight for an R-rating and a back-to-the-basic approach to the plot (as opposed to the space opera-like narrative in the second film), we are expecting a darker and more intriguing entry in the third chapter. For more update on the ongoing development of the project, stay tuned to Diesel's Facebook page. In the meantime, check out the luscious concept art released by Diesel thus far right after the jump.